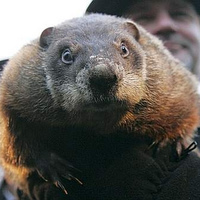 This week we're celebrating an early spring prediction from Punxsutawney Phil, the great students at Purdue University, developments on the electric car and President Obama's threat to veto all the Clean Air Act roadblocks. The leading story this week comes out of Punxsutawney, Pennsylvania where a local groundhog has come into the center of a climate change debate. Climate scientist have for years complained of their inability to educate the public about the dangers of global warming. Maybe they can learn a thing or two from Punxsutawney Phil. PBS has done a report on how the world's most renowned (and hairiest) climatologist could be the key to the push we're looking for in climate science. Student activists at Purdue University shut down the "clean" coal myth as they pressured the Board of Trustees to end plans on building a new coal boiler on campus. While the Board attempted to spin the extension of the coal power plant as a green "clean" coal option, the students did their research, got some like-minded faculty on board and joined up with Campus Beyond Coal coalition. The fight went on for over a year -- but plans were officially scrapped yesterday. What a great example of staying in the fight and getting results! Meanwhile, President Obama headed to the at Penn State campus to roll out his Better Buildings Initiative. The energy conservation plan sets the goal to make commercial building space 20% more energy efficient by 2020, which would reduce business operating costs by $40 billion a year and creating energy upgrade related jobs. This is the president's kick off to "Race to Green" which will offer state and local grants to attract private investment in these projects. In 2007, Huntsman brought his state into the Western Climate Initiative, the only Republican governor other than California's Arnold Schwarzenegger to do so. In 2008, he set a goal for Utah to reduce its greenhouse gas emissions to 2005 levels by 2020. His climate activism ticked off the heavily Republican state legislature, which hit Huntsman with a resolution calling on him to back out of the WCI, but the state's heavily Republican electorate didn't seem to mind, as it reelected Huntsman in November 2008 with 78 percent of the vote. In January 2009, Huntsman said he found it 'enormously frustrating' that Republicans had not been working toward a national climate policy Huntsman carried his call for climate action into his ambassadorship, saying that one of his top goals would be collaborating with China on climate solutions"
Your next road trip might be in an electric car. Well, maybe if you're only planning to drive around San Francisco -- but that's not a bad start. The Bay Area Management District rolled out $3.9 million in grants this week to install 2,750 in-home charging stations and 30 fast-chargers along highways. That means -- depending on your particular taste of electric car -- a battery can load to full power in as little as 30 minutes via a fast-charger. We've also seen some powerful demonstrations coming out of Egypt over the last few days. Like President Obama, 1Sky supports the Egyptian people's freedom of assembly, speech and access to information and hope their protest moves forward on a peaceful tract. It's Getting Hot In Here has an article about the climate movement could learn from the people's movement in Egypt when it comes to dismantling the fossil fuel economy. Here's an added bonus for your weekend: If you are looking ahead to COP17 in Durban -- or still trying to sort out just exactly what happened in at COP16, here's a great 2-minute video from some handy kids at UK Youth Climate Coalition.